Are we set up like that? Need to go hard from the start, last 2 games been lacking urgency. Crikey, have we forgot how to take penalties?? What Chance have we got !!!!!!! Not a lot of football been played by either team, bit stop start for nothing fouls and a fairly scrappy. We are short in midfield and it shows with our repeated attempts to lump the ball forward to White and Austin. Need to show something different in the second half. 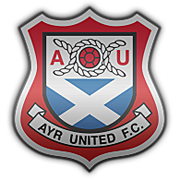 So far at least Ayr haven't massively threatened other than down our right side with Rooney being exposed a couple of times. Undefendable penalty miss, no excuse and we need to take those chances in games like this. And at the end we will have 49 and they will have 40. 0-1....... great to see Brad getting a goal !!! Full time. Massive 3 points. A big big win today. Starting to look good for getting into the play-offs. Was already looking good, now it’s looking better! 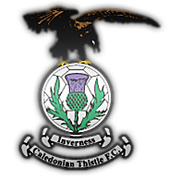 Excellent result, and with Dunfermline dropping points, it makes it even better. Should put us in good fettle for next Saturday. Can't wait.